McGaheysville, Va. – November 26, 2018 – Massanutten Resort, a premier all-season resort in the heart of Virginia’s Shenandoah Valley, is inviting travelers – as well as local residents – to experience the resort’s most popular offerings during its first-ever ‘MASSive Deal Days’ virtual event. The resort will post online-only offers of up to 60 percent off today during Cyber Monday, November 26. The deals will apply to attractions like the resort’s Family Adventure Park, Spa, skiing and lodging. Click here to create an online account now and save time during check-out. Follow the resort’s Facebook page to receive real-time notifications on all available offers. Promotions can be accessed on a desktop or a mobile device, and all offers will be available until 11:59 p.m. on November 27, unless otherwise specified. For more information on the resort, visit MassResort.com. Stay up-to-date on the latest news by following @MassResort on Instagram or follow Massanutten Resort on Facebook at www.facebook.com/massresort/. Set on 6,000 acres of sprawling land in the heart of Virginia’s Shenandoah Valley, Massanutten Resort is a premier all-season resort destination that offers virtually every type of traveler an unforgettable experience. Outdoor enthusiasts and adventure buffs will enjoy Massanutten’s Mountain Bike Park, offering exciting jump trails for beginners and veteran riders alike, and hiking Massanutten’s Western Slope. For those seeking a relaxing escape, the resort Spa delivers a wide menu of services including manicures, pedicures, detoxifying massages, and more. 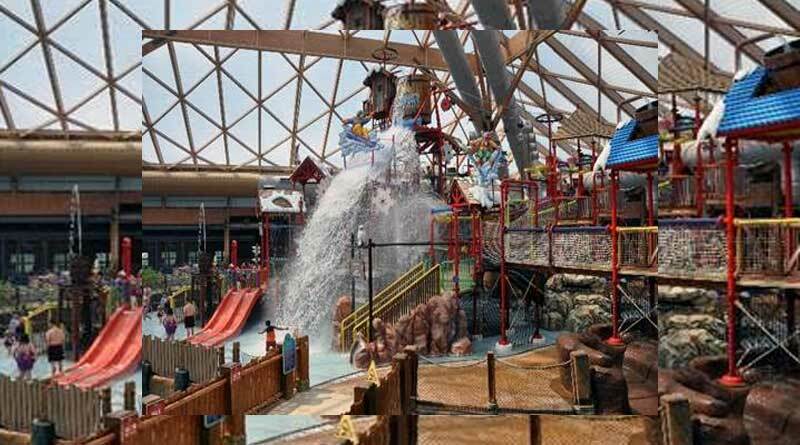 The resort is a paradise for adventurous families, featuring an indoor/outdoor waterpark complete with a triple-jet FlowRider® Endless Wave, a 1920s-themed escape room, the Family Adventure Park, and a petting zoo. Seasonal sports activities include two challenging 18-hole golf courses, skiing, ice skating and snow tubing. Nothing works up an appetite like an active vacation and with 12 on-site dining options, showcasing variety from mouthwatering barbecue to campfire treats, Massanutten offers something for every taste, season and occasion. At Massanutten Resort, there is something for everyone, all within reach – located just two hours from Washington, D.C., and 50 minutes from the Charlottesville Albermarle Airport.